Ribhu Dasgupta’s Te3n is an official fully credited remake of South Korean thriller, Montage (2013, dir Jeong Geun Seop). I’ve seen the original so I was more interested in the how than the who or the what. 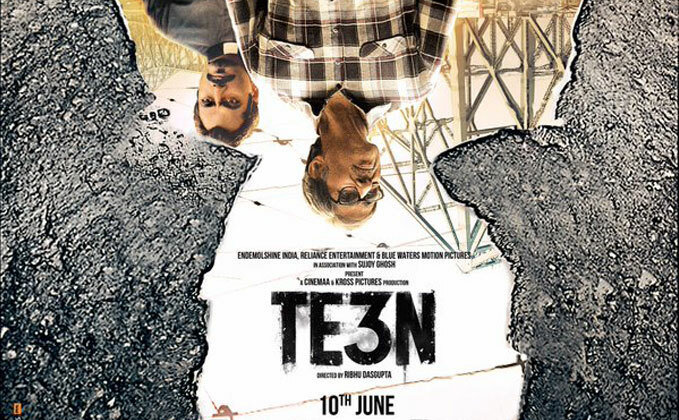 Te3n is a solid remake of a decent film, so I still enjoyed it despite a couple of changes that I don’t think were at all necessary from a film or narrative perspective. 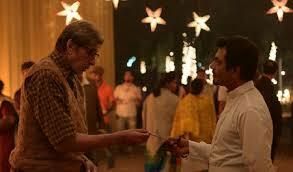 John Biswas (Amitabh) is an old man haunted by the death of his granddaughter Angela. She was killed in a botched kidnapping 8 years go, and the perpetrator was never caught. He spends his days haunting the police station and has nothing else in his life to sustain him. His wife Nancy (Padmavati Rao) is wheelchair bound and never leaves the house. John seems forgetful and vague, giving no energy to his present day and dwelling on the past. But when another child is kidnapped in exactly the same way, he believes he can catch the criminal and get justice (and revenge) for Angela. Sarita (Vidya Balan) has inherited the Biswas case file, and is leading the investigation into the latest crime. Sarita is smart but unimaginative when it comes to solving a complex problem. She will follow the leads and interpret the evidence in a logical and common sense way, not questioning whether she is being lead down the garden path. 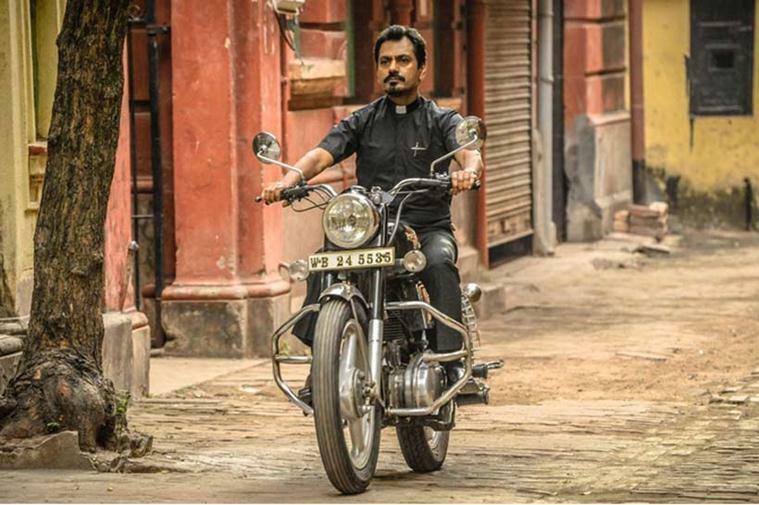 Martin Das (Nawazuddin Siddiqui) was the original investigator but he left the police force to become a Christian priest. He feels the guilt of his previous failure and the damage done to the Biswas family, and can’t keep away from the new case when Sarita starts her investigation. Although he used to do a fair job of evading John who only wanted to talk about the old crime. Martin’s zeal is less about John or Angela and more about his own personal guilt and need to atone. It is almost a shot for shot remake of the original despite the new location, so I can’t really say much about Dasgupta’s directorial style. There were changes made in terms of which character did what. (In Montage, the mother of the first little girl is the one who purses the investigation and the police characters are a little different.) I feel that needed some more solid rewriting which didn’t quite happen. And because the film elevates Amitabh above all else, it ultimately buckles a little under the weight of a Star in what is otherwise a solid thriller. Amitabh shows the best understanding of his character and the genre. I really liked his performance, and thought he built up the layers in John’s character well. There are scenes where he just becomes an old man, bewildered and a little out of step. As he steps up his own investigation, he sharpens up and seems to come into focus more. Because I knew that the original was slightly different, I was looking closely at the changed characters to see if the alterations were for the better. They really added nothing, except maybe funding, as I suppose it is still easier to get money for your movie if the Big B is your star than if Vidya is. But it also made me ask if women are overlooked in society the same way old people are. Maybe since they were both invisible to the people that mattered it actually did make sense. I never fully understood why Martin had taken vows or why Sarita was a bit flirty with him, but I didn’t feel I needed to know all the details to appreciate the present circumstances. It felt like they split the original ex detective character a little between Martin and Sarita, and added some more emotional baggage for the sake of it. Both Vidya and Nawazuddin have garnered huge audience and critical support for their undeniable talents, but the material here lets them down a little. Their characters were sketchy despite their best efforts to add nuance and a sense of connection. The story translated well to Kolkata. Pardon my saying so, but the Indian police and legal systems are not exactly a byword for judicial excellence so the scenes where things went wrong seemed almost inevitable. The bureaucracy and sheer time spent in nothing much happening also seemed quite realistic. Sarita was surrounded by mountains of old files and new ones, everything showing that the Biswas case was just one of many. The streets and old houses added to the mood with hints of things happening under the surface, out of sight. Despite the huge city setting, the characters all live their lives in quiet little pockets of their own making. The neighbourhoods and houses are lived in and have a sense of history and context that we are just glimpsing as we skim past. The use of sound was excellent except for when a song like Grahan was forced into the mix. I did like the recurring use of Kyun Re during montages of uncertainty. 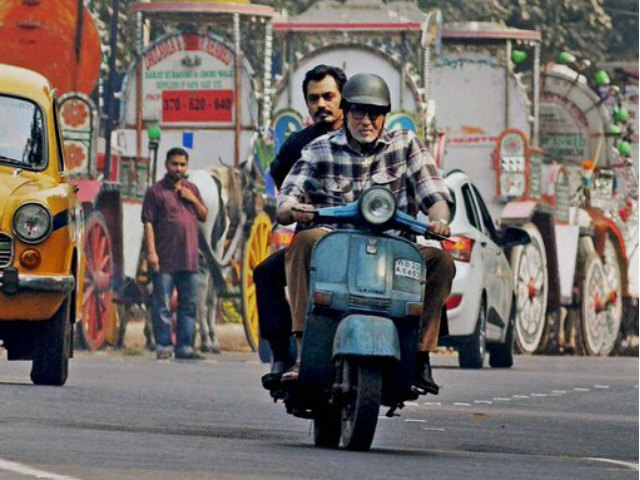 I don’t know that the Amitabh version was needed as it was subtle as a sledgehammer, but it suited the moment. The ambient sounds and silences were far more powerful than the pretty generic musical stylings. The investigations – John’s and the official one – are both quite logical and it all makes sense. Korean and Indian movies often share a sense of outrage at the lack of justice for victims of crime, and then go looking for that reparation outside of the system. See this for a fairly restrained big budget take on an indie film subject, and for the well structured plot. 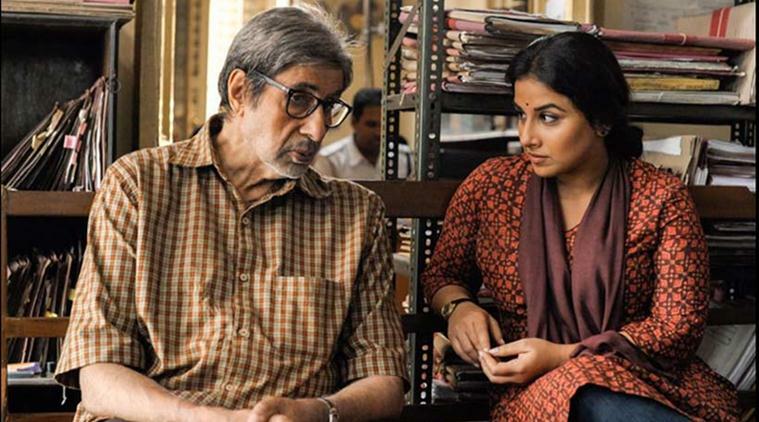 It’s not the usual high level histrionics and it does showcase late career Big B in a role that lets him comfortably play to his strengths. This entry was posted in Bollywood and tagged Amitabh Bachchan, Hindi, Nawazuddin Siddiqui, Ribhu Dasgupta, Vidya Balan. Bookmark the permalink. Haven’t caught a film in the theatre in ages! I was looking forward to watching this one. Yours is the only kind review I’ve found. Maybe I was influenced by having seen Montage and thinking it was a serviceable film without being so good it could not be improved upon. I think this film was bound to attract some criticism. It is very close to the Korean original in style and structure and lacks a lot of what Indian audiences might expect, especially from a police drama, as it is not loud, shouty or action oriented. I read a few reviews after I’d finished mine and thought that some critics were too harsh – one said Amitabh looked like a confused old man and didn’t seem to think he was acting! It is a little slow, but I liked seeing the theories developing rather than just cutting to the chase. It would be fine to see on DVD if you don’t get to it in the theatre.